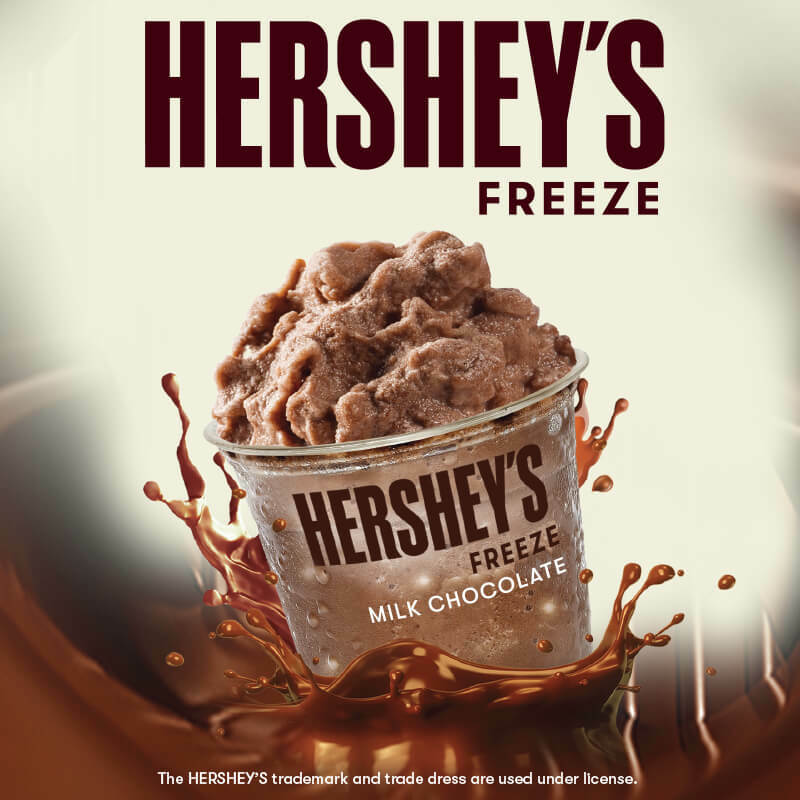 Deliciousness takes on a whole new dimension with Hershey’s Freeze! Frozen Hershey’s chocolate beverages for chocolate lovers everywhere! The HERSHEY’S trademark and trade dress are used under license. 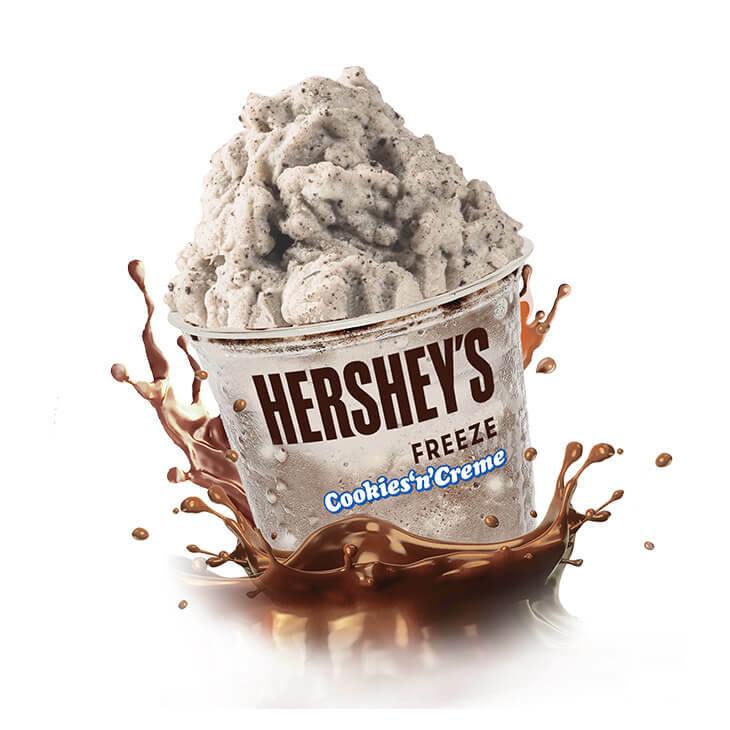 Made with Hershey's Cocoa, Hershey's Freeze Cookies 'n' Crème is a unique twist on the classic chocolate flavor. 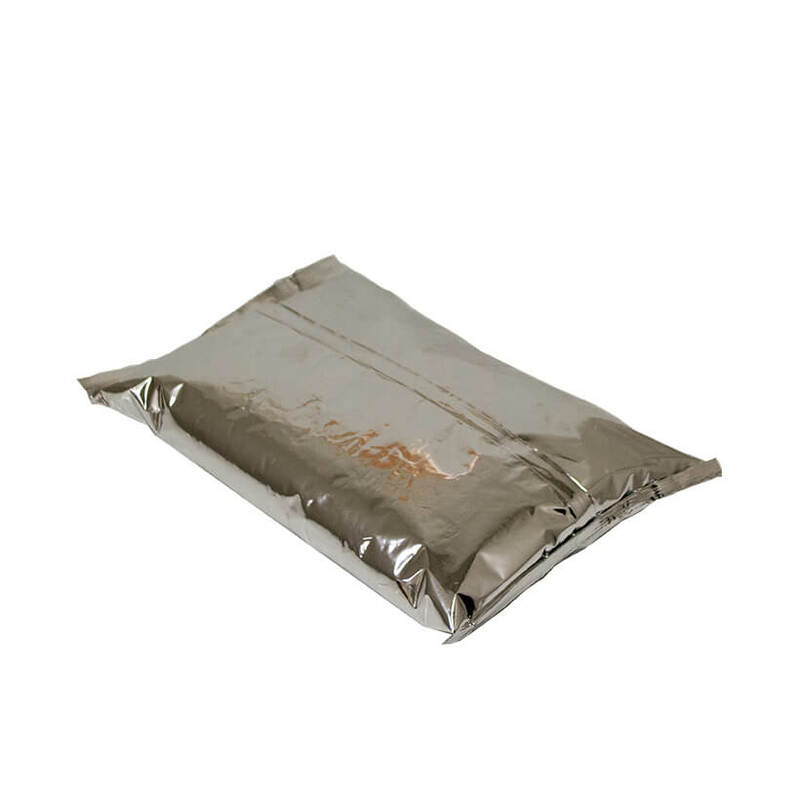 Granulated Sugar, Non-Dairy Creamer [Hydrogenated Coconut Oil, Corn Syrup Solids, Sodium Caseinate (a milk derivative), Sugar, Dipotassium Phosphate, Propylene Glycol Esters of Fatty Acids, Mono & Diglycerides, Sodium Silicoaluminate, Salt, Soy Lecithin, Carrageenan, Artificial Flavor and Colors], Nonfat Dry Milk, Cocoa (Processed with alkali), Salt, Vanillin, Xanthan Gum, Silicon Dioxide(anti-caking agent). 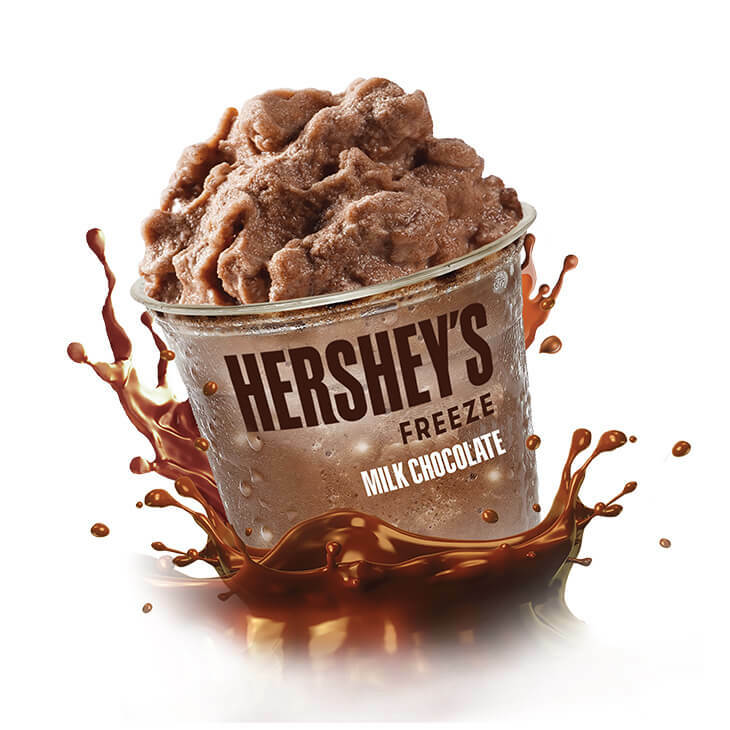 Made with Hershey's Cocoa, our Hershey's Freeze Milk Chocolate slush makes life delicious. Granulated Sugar, Non-Dairy Creamer [Hydrogenated Coconut Oil, Corn Syrup Solids, Sodium Caseinate (a milk derivative), Sugar, Dipotassium Phosphate, Propylene Glycol Esters of Fatty Acids, Mono & Diglycerides, Sodium Silicoaluminate, Salt, Soy Lecithin, Carrageenan, Artificial Flavor and Colors], Hershey’s Dutch Processed Cocoa, Corn Syrup Solids, Salt, Vanillin, Xanthan Gum, Silicon Dioxide (anti-caking agent). Made with Hershey's Cocoa, Hershey's Freeze Mocha is the perfect combination of creamy chocolate and a hint of coffee. Granulated Sugar, Non-Dairy Creamer [Hydrogenated Coconut Oil, Corn Syrup Solids, Sodium Caseinate (a milk derivative), Sugar, Dipotassium Phosphate, Propylene Glycol Esters of Fatty Acids, Mono & Diglycerides, Sodium Silicoaluminate, Salt, Soy Lecithin, Carrageenan, Artificial Flavor and Colors], Cocoa (Processed with alkali), Coffee, Salt, Vanillin, Xanthan Gum, Silicon Dioxide (anti-caking agent). Please refer to actual product packaging for most up-to-date information. * Enter the required information, and we'll do the rest!